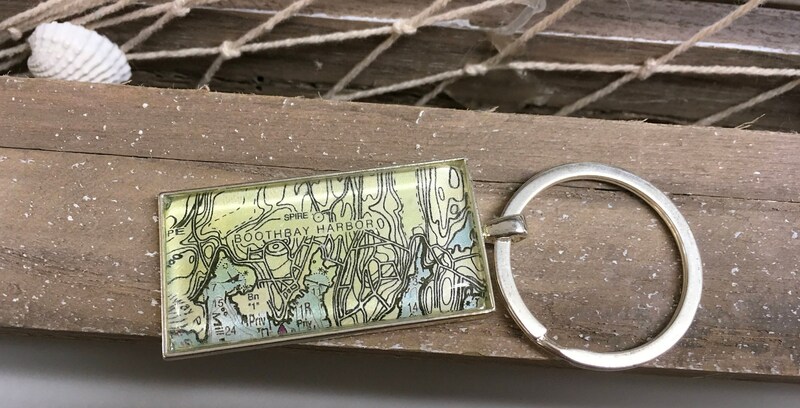 Rectangular Map or Chart Keychain Key Ring - Custom made ANY LOCATION you choose! 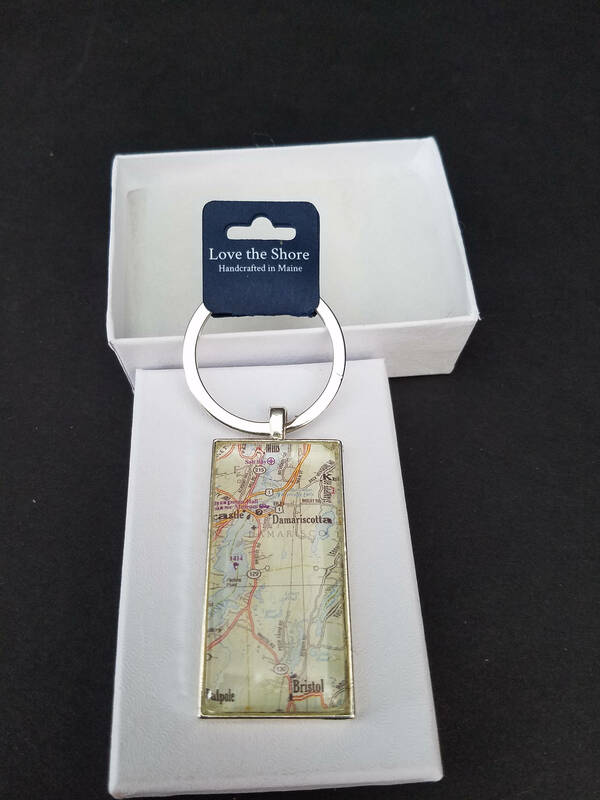 A wonderful keychain key ring to order as your own keepsake or to give as a gift... any map or chart location. 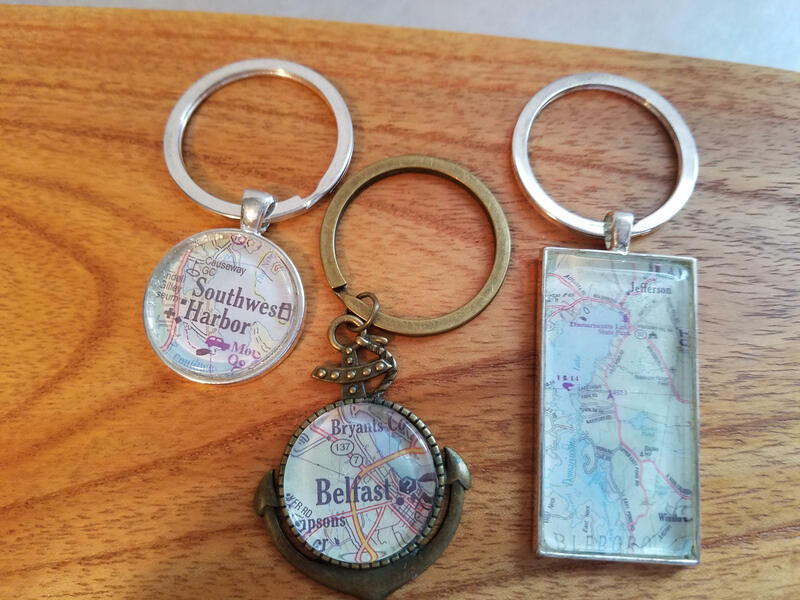 The image area is approximately 1" x 3" rectangle (please see my other listings for square, anchor, and round shapes) and your choice of shiny silver or antique bronze finish. 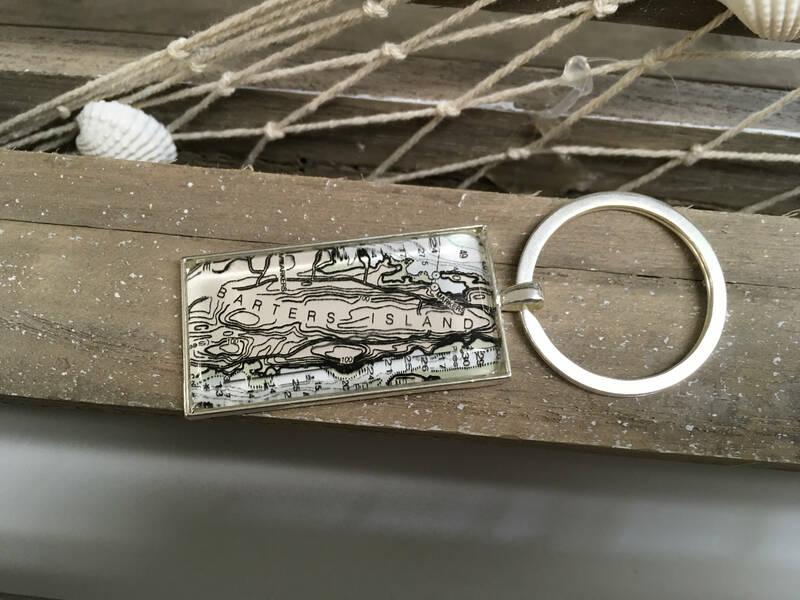 The pendant tray is a metal alloy that is nickel and lead free. The image is protected by glass (no sharp edges) to enhance its colors.